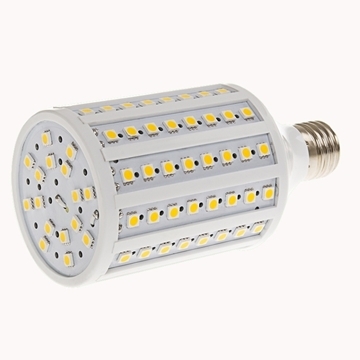 Led corn light with power of 15w - LED Type 5050 SMD bulbs. Large illumination angle of 160 degrees. Lighting fixture is made of plastic and aluminum. Epistar type LED chip. Contains 86 LED bulbs. Light colors: white, warm white. Screw E27. A lifespan of over 50,000 hours. Suitable for home - shower, toilet, sitting areas, living room, kitchen, lobby, etc. 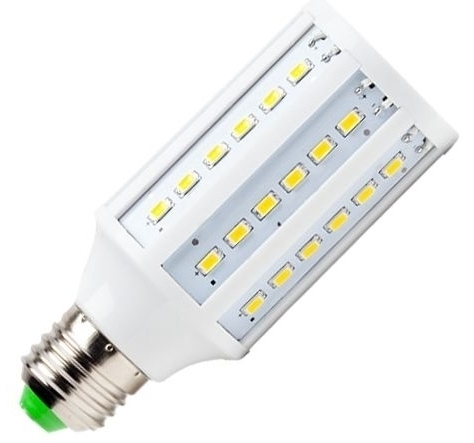 Led corn light with power of 15w - LED Type 5730 SMD bulbs. Large illumination angle of 160 degrees. Lighting fixture is made of plastic and aluminum. Epistar type LED chip. Contains 84 LED bulbs. Light colors: white, warm white. Screw E27. A lifespan of over 50,000 hours. Suitable for home - shower, toilet, sitting areas, living room, kitchen, lobby, etc. 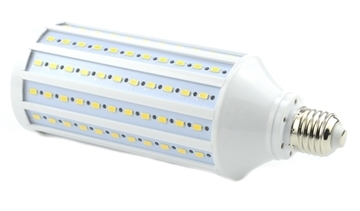 Led corn light with power of 20w - LED Type 5730 SMD bulbs. Large illumination angle of 160 degrees. Lighting fixture is made of plastic and aluminum. Epistar type LED chip. Contains 84 LED bulbs. Light colors: white, warm white. Screw E27. A lifespan of over 50,000 hours. Suitable for home - shower, toilet, sitting areas, living room, kitchen, lobby, etc. 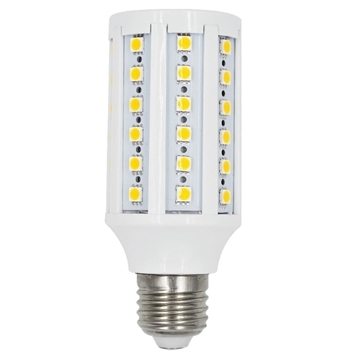 Led corn light with power of 25w - LED Type 5730 SMD bulbs. Large illumination angle of 160 degrees. Lighting fixture is made of plastic and aluminum. Epistar type LED chip. Contains 98 LED bulbs. Light colors: white, warm white. Screw E27. A lifespan of over 50,000 hours. Suitable for home - shower, toilet, sitting areas, living room, kitchen, lobby, etc. 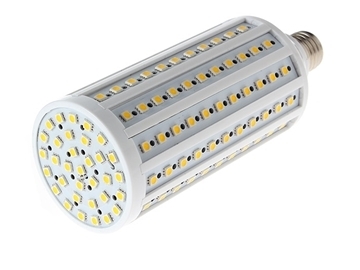 Led corn light with power of 30w - LED Type 5730 SMD bulbs. Large illumination angle of 160 degrees. Lighting fixture is made of plastic and aluminum. Epistar type LED chip. Contains 132 LED bulbs. Light colors: white, warm white. Screw E27. A lifespan of over 50,000 hours. Suitable for home - shower, toilet, sitting areas, living room, kitchen, lobby, etc. 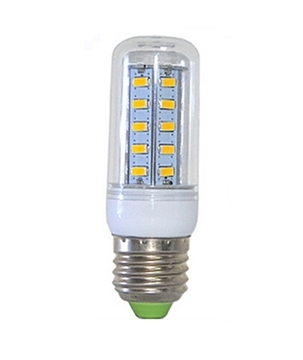 Led corn light with power of 5w - LED Type 5730 SMD bulbs. Large illumination angle of 160 degrees. Lighting fixture is made of plastic and aluminum. Epistar type LED chip. Contains 24 LED bulbs. Light colors: white, warm white. Screw E27. A lifespan of over 50,000 hours. Suitable for home - shower, toilet, sitting areas, living room, kitchen, lobby, etc. 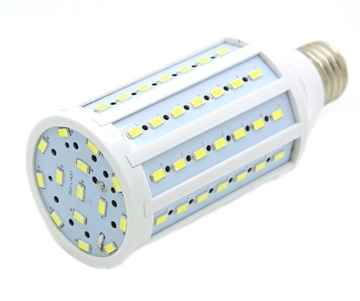 Led corn light with power of 10w - LED Type 5050 SMD bulbs. Large illumination angle of 160 degrees. Lighting fixture is made of plastic and aluminum. Epistar type LED chip. Contains 60 LED bulbs. Light colors: white, warm white. Screw E27. A lifespan of over 50,000 hours. Suitable for home - shower, toilet, sitting areas, living room, kitchen, lobby, etc. 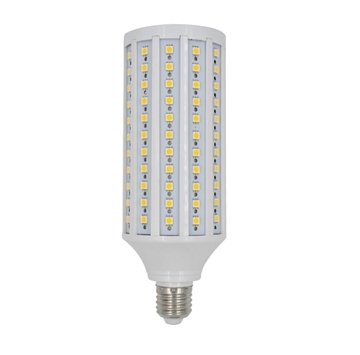 Led corn light with power of 20w - LED Type 5050 SMD bulbs. Large illumination angle of 160 degrees. Lighting fixture is made of plastic and aluminum. Epistar type LED chip. Contains 132 LED bulbs. Light colors: white, warm white. Screw E27. A lifespan of over 50,000 hours. Suitable for home - shower, toilet, sitting areas, living room, kitchen, lobby, etc. 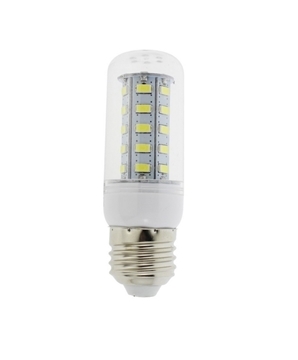 Led corn light with power of 25w - LED Type 5050 SMD bulbs. Large illumination angle of 160 degrees. Lighting fixture is made of plastic and aluminum. Epistar type LED chip. Contains 165 LED bulbs. Light colors: white, warm white. Screw E27. A lifespan of over 50,000 hours. Suitable for home - shower, toilet, sitting areas, living room, kitchen, lobby, etc. Led corn light with power of 4w - LED Type 5050 SMD bulbs. Large illumination angle of 160 degrees. Lighting fixture is made of plastic and aluminum. Epistar type LED chip. Contains 24 LED bulbs. Light colors: white, warm white. Screw E27. A lifespan of over 50,000 hours. Suitable for home - shower, toilet, sitting areas, living room, kitchen, lobby, etc. 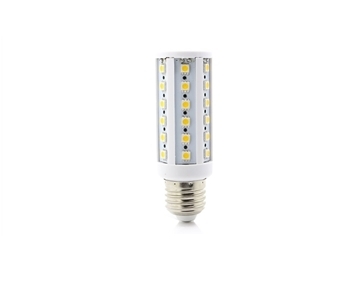 Led corn light with power of 7w - LED Type 5050 SMD bulbs. Large illumination angle of 160 degrees. Lighting fixture is made of plastic and aluminum. Epistar type LED chip. Contains 44 LED bulbs. Light colors: white, warm white. Screw E27. A lifespan of over 50,000 hours. Suitable for home - shower, toilet, sitting areas, living room, kitchen, lobby, etc.